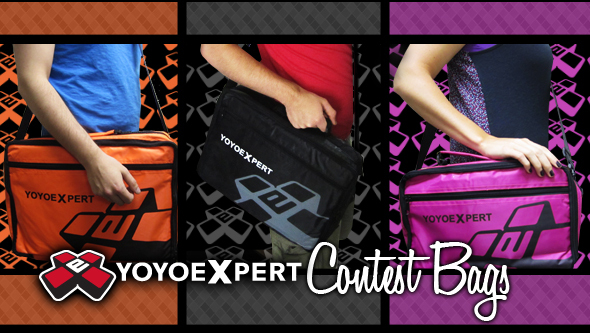 YoYoExpert Blog & Yo-Yo News – YoYoExpert Contest Bags Just Got Bigger and Better! YoYoExpert Contest Bags Just Got Bigger and Better! Have you been looking for a more convenient way to carry your yo-yos to contest, club, or just around rather then clanking against each other in your pockets?! Well do we finally have the answer for you! 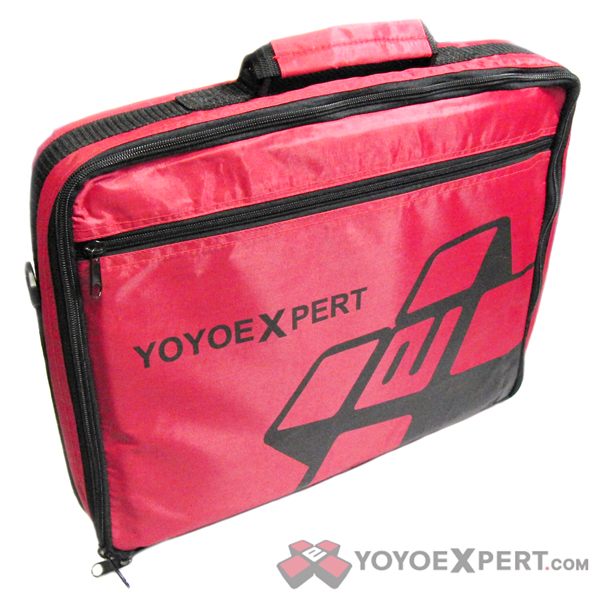 The all new and official YoYoExpert Large or Medium Contest Bags are built just for yo-yos and yo-yo gear! Medium bag has room for 12 yo-yos and the large for 24! Features TWO Compartments – both a front and inside zipper area to store extra parts, string, or even a yo-yo if you wanted! And the YoYoExpert Contest logo is neatly printed on the front so people will know right away you are a YoYoExpert! A great and easy way to carry your yo-yos in style! MEDIUM CONTEST BAGS AVAILABLE HERE! LARGE CONTEST BAGS AVAILABLE HERE! Vote in the Scales x YYE Forum Battle & WIN!